The Great Western07899 074865work HostelThe Great Western was originally a Victorian Railway Hotel which has been operating as a bar, B&B and hostel since 1850. With a bar, pool room, dorms and private rooms with en suite, we have played host to locals as well as travellers from all over the world for many years. The range of facilities and amenities on offer at The Great Western mean we can cater for all of your needs. The Great Western was originally a Victorian Railway Hotel which has been operating as a bar, B&B and hostel since 1850. With a bar, pool room, dorms and private rooms with en suite, we have played host to locals as well as travellers from all over the world for many years. The team at the Great Western look forward to seeing you! 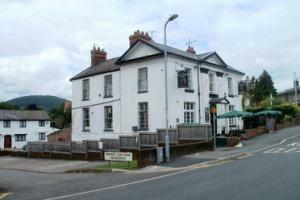 The Great Western is located directly opposite Abergavenny Railway station. We are also easily accessible by car or bus. See the website for more details and a map.